Producer: Dis skript full of plot holes and not make much sense. Writer: Dats okay. Me fix it. Producer: By applying logic so it easier to understand? Writer: No. By making it so complicated dat audience simply assume dey too stoopid to understand. Well, me have news for makers of Iron Man 3. Monster not stoopid. Me have GED from Pyongyang Institute of Higher Learning and Dance! Alternate nicknames included Satsuma, Valencia, and Clementine. Movie begin wit Tony Stark seeing a therapist because he suffering panic attacks after Avengers movie. How dese panic attacks figure into plot and pay off at end of movie. Spoiler alert: Dey don’t! Meanwhile, U.S. government rocked by string of bombings orchestrated by villain called de Mandarin! Why he called de Manadarin? Well, in original comic books, he called de Mandarin because he be of Chinese descent and adopt title of Chinese bureaucrats of Imperial China. In de movie – well, he not Chinese but Middle-Eastern so he called de Mandarin because…mebbe he named after de orange? It was either dat or Tangerine? When Tony’s bodyguard get injured in an explosion dat, in retrospekt, not make any sense at all (we’ll get to dat), Tony vow revenge and dare Mandarin to come after him. So bad guy respond by blowing up Tony’s cool mountain-side home. Oh, Timmy! You little scamp! At dis point, fairly more-or-less straightforward movie take a hairpin turn when Tony end up in Tennessee to investigate similar bombing there. He befriend lovable little rascal of a kid who all sorts of quippy and cute and no doubt shoe-horned into story to appeal to young audience. Dudes, it’s a movie based on a comic book character! While Tony enlist brilliant kid’s help to recharge his armor, he investigate apparent suicide bombing by local soldier and pay visit to his mom at local bar. COINCIDENTALLY, she happen to be waiting for someone to give dem a top sekret file on her son. A top sekret file dat, for some reason, also contain information on other soldier blown up in similar explosion. Why mother have dis information on other soldier? Why bad guys need to get deir hands on dis file? Why dey just not go over to her place and take it instead of arranging meeting in a public place? How Tony be so lucky as to just happen to walk into bar and approach soldier’s mother on exact night she be planning to meet bad guys and hand over file? How possible – LOOK! EXPLOSIONS! COOL! Tony fight bad guys who turn out to be super soldiers wit super-strength, agility, and healing powers. 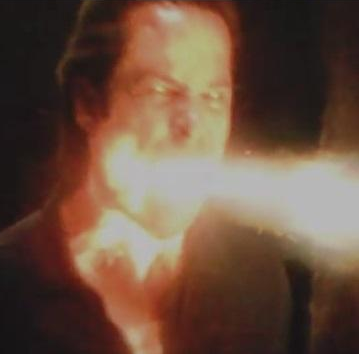 And, for no apparent reason later on, super fire breath. He defeat dem, but barely. 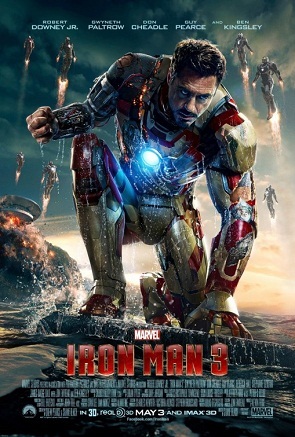 In one of movie’s many ridikulous moments, Tony learns all about super soldiers by hacking into super seckret database containing convenient video recordings of experiments on soldiers wit someting called Extremis. Sometime it work, making dem superhuman. Other times it not work, making dem blow up. BUT…. We see one soldier blow up because his body unable to accept Extremis. Dis be explanation for explosion. But den how to explain explosion of soldier in Tennessee? If his body rejekted Extremis, he would have blown up in lab, not in public? And what about soldier who exploded, injuring Tony’s bodyguard? Why he blow up? If it delayed reaction to Extremis, what all dat nonsense about him getting a briefcase from bad guy? Tony track bad guy to Miami and get drop on Mandarin who…turn out to be aktor hired to play part of a wanted terrorist. Very funny – except for fakt dat, even though he be seemingly goofy and unwitting accomplice who assumed deaths were fake, he couldn’t be stoopid enough NOT to be aware of news reports on terrorist acts in his name. Also, he SHOT a guy on video! Dis little twist bring up another point. In comic book, Mandarin be one of Iron Man’s greatest villains – but he played for a joke here. 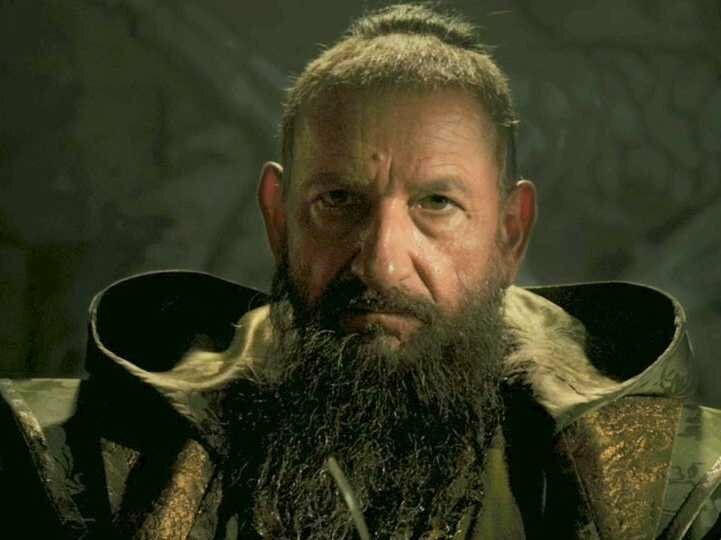 So dis pretty much rule out any appearance of real villainous Mandarin in future Iron Man movies…unless he be some supervillain who just decide to name himself after a laughingstock rube. Tony captured. But get his armor back. But Pepper kidnapped. And President! And Air Force One blow up but Iron Man manage to save flight crew in one of movie’s more inspired sekwences. Boy! Dem some spicy nuts! It all culminate in big extended impressive but over-long climactic battle pitting Tony and his buddy, Rhodey, against bad guy and super soldiers. Pepper, who now a super soldier because she be injected wit Extremis, help save de day. And Tony celebrate by blowing up all his extra Iron Man suits, assuming he won’t need dem because bad guys all dead even though he thought he had killed dem before and dey turned up very much alive later. Also, FYI, some of dem not really injured and just fell into ocean so chances are – LOOK! EXPLOSIONS! SO COOL! Wait a minute. Pepper now a super soldier? No, because Tony be a genius. He fix her. Uh, if Tony be such a genius, why he not fix himself? 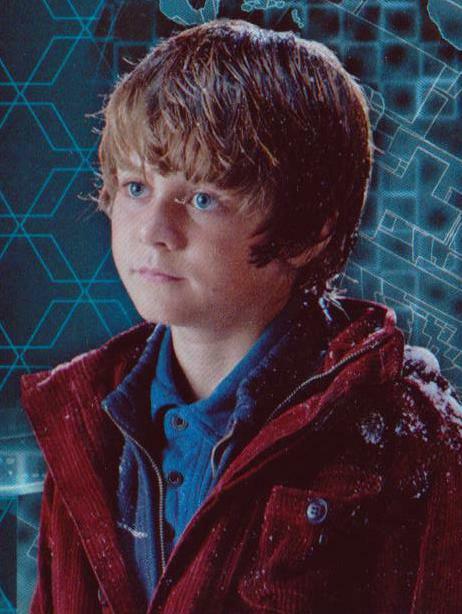 Okay, because Tony be a genius, he also fix himself and remove shrapnel from his heart. Happy now? Uh, if Tony such a genius, why he not remove shrapnel from heart two movies sooner? Wait another minute! What was bad guy’s plan? To get Vice President in office? But if dat de case, why not just assassinate President instead of going through big show of kidnapping him, stringing him up, etc? What was point of de Mandarin? More me tink about it, more me hate dis movie. VERDIKT: Great movie for people who love explosions – and not much else.